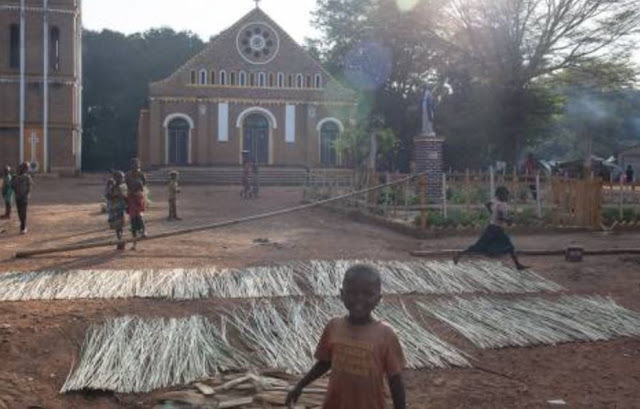 Alindao Massacre: “At least 60 killed but who knows how many more lie dead in the undergrowth” says Cardinal Nzapalainga Bangui (Agenzia Fides) - “At least 60 dead. But in the undergrowth how many more may have been killed?” asked Cardinal Dieudonné Nzapalainga, Archbishop of Bangui, after visiting Alindao in the Central African Republic where on 15 November guerrilla fighters of the UPC (Unité pour la Paix en Centrafrique) assaulted a displaced persons camp adjacent to the Cathedral. Among those killed by the fighters also two priests, the Vicar general of the diocese Alindao, Mons. Blaise Mada, and Rev. Celestine Ngoumbango, parish priest at Mingala (see Fides 17/11/2018). Speaking to the French daily Le Monde, Cardinal Nzapalainga said the displaced persons sheltering in the Alindao camp destroyed in the attack, fled for safety to Ndakoto “a village of only 15 homes, 7 km away. The villagers were not able to provide shelter for 26,000 people. After a week people were dying of starvation. On 23 November the World Food Programme sent four trucks. You should have seen how the people threw themselves on the food. In the first few days I saw people scratching the ground for a grain of rice”. Regarding the reasons for the massacre, Cardinal Nzapalainga said he had the impression “that it was the start of a war for positioning. In the talks with the armed groups those with the most men will have the control of a higher number of areas and therefore be able to ask for ministries, money... Alindao is completely under the control of the UPC. The attack was planned, organized. I think these are moves to take position in view of dialogue with the state and the international community”.